We understand that just because you don’t have room for it now, doesn’t mean you need to get rid of it. Photo albums, heirlooms, and antiques never lose their sentimental value, but they can take up quite a bit of space around house. At StorQuest Self Storage in Lakewood, CA, you will find a clean storage facility with features that help protect your stored items. The friendly team at StorQuest is here to help you make the best decision for your situation. We will be happy to assess your needs and make a recommendation that works for you. And because we offer access 7 days a week, reaching your storage unit is easy and convenient. 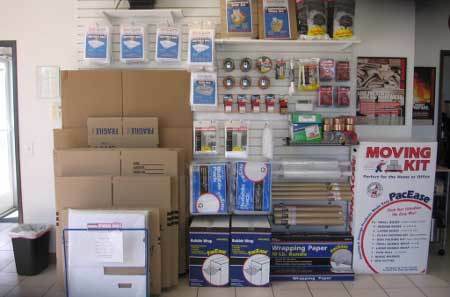 We even sell packaging and moving supplies on site. Purchase boxes, tape, and protective materials for your stored goods, right here at our Lakewood facility. Stop by our facility or call our office today to learn more about easy self storage with StorQuest.